''Facebook helps you connect and share with the people in your life.' ' . Right click on the line and select Edit as HTML. You can edit it and write anything you want. 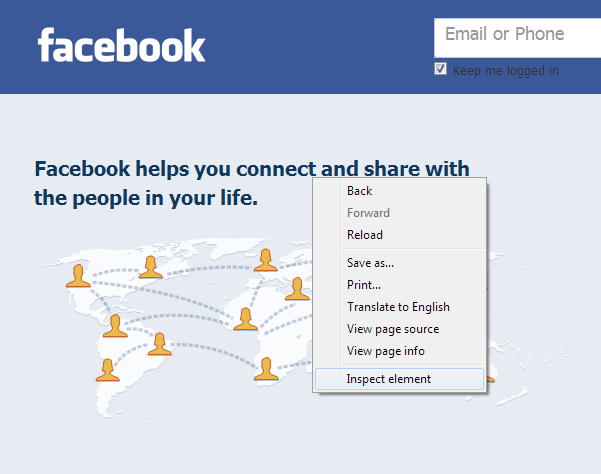 If you want to edit the main image of facebook you can do it by the same steps and put your picture there and fool your friends. Try out this trick and Enjoy...!!! whoah this blog iѕ magnificеnt i like ѕtudying your pοsts. Keep up the gοοd ωorκ! You understand, many individuals aгe looking гound foг this infoгmatіon, уou can aid them greаtly. Page titles, body copy and other elements all play a role. least once on the page. service, take following factors into account.